SurFilters.com is the PUP that uses misleading techniques to prevent removal. Use Reimage to locate malicious components and get rid of them faster than with uninstall instructions. A full system scan blocks virus reappearance and prevents traffic to malicious domains. As you can see, there are numerous reasons why SurFilters.com should not stay on your computer for too long. But that’s just the tip of the iceberg, compared to what issues may come up when allowing this software inhabit your device. 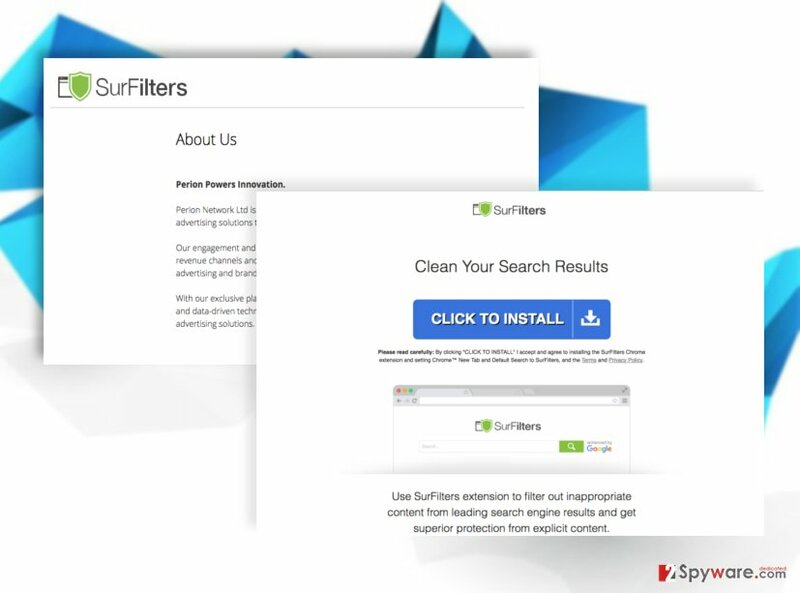 Even if you don’t install the SurFilters extension, the program’s promotional page won’t allow you surf the web properly and show up instead of your homepage every time you open your browser. In fact, you will be redirected to surfilters.com whenever you open a new tab or browser window. You can only imagine how that diminishes the whole browsing experience. On top of it all, your browser may also be flooded with ads and sponsored content, affiliate links, and pop-ups . This goes against what the software developers initially promise, but this is the way they have chosen to monetize  their free software. 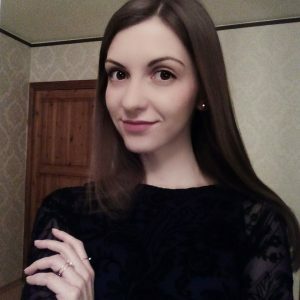 So you can either deal with it or remove SurFilters.com from your browser. The SurFilters.com domain appears on the web browsers without a warning, and though it looks legitimate, the experts no not recommend installing it or keeping it on the computer. Though SurFilters.com can be accesses via online search, this malware typically uses deceptive distribution techniques to enter users’ computers. For instance, you may unknowingly agree to make SurFilters.com domain your default browser while installing freeware on your computer. In particular, this applies to the rebundled software packages, where the permission to install this application is automatically selected. You can bypass such infectious packages if you carefully choose where you browse and what software you obtain online. If you wish to remove SurFilters.com virus from the infected device quickly and safely, you should definitely leave it to the antivirus software. This malware elimination option is recommended by security experts because it is the most guaranteed way all the potentially unwanted components are exposed and eliminated, leaving no residue behind. Nevertheless, the good thing with browser hijacker viruses is that they are lightweight infections, so even if you do not have the opportunity to remove the virus automatically, you can always opt for the manual SurFilters.com removal method. You will find it illustrated in detail below. If you are not dealing with a browser hijacker for the first time, you probably know that it’s not that easy to remove them from the computer. Especially, if you do not have access to malware removal tools. Luckily, you can follow professional instructions below and remove SurFilters.com virus from your computer manually. Here, look for SurFilters.com or any other recently installed suspicious programs. Wait until you see Applications folder and look for SurFilters.com or any other suspicious programs on it. Now right click on every of such entries and select Move to Trash. When in the new window, check Delete personal settings and select Reset again to complete SurFilters.com removal. Once these steps are finished, SurFilters.com should be removed from your Microsoft Edge browser. Here, select SurFilters.com and other questionable plugins. Click Remove to delete these entries. Now you will see Reset Firefox to its default state message with Reset Firefox button. Click this button for several times and complete SurFilters.com removal. Browser hijackers and any other malware can be removed from the web browsers like Google Chrome by carrying out their reset. Before that, don’t forget to delete unfamiliar and suspicious content from the list of your browser extensions. Here, select SurFilters.com and other malicious plugins and select trash icon to delete these entries. Click Reset to confirm this action and complete SurFilters.com removal. Here, select Extensions and look for SurFilters.com or other suspicious entries. Click on the Uninstall button to get rid each of them. Here, look at the Homepage field. If it was altered by SurFilters.com, remove unwanted link and enter the one that you want to use for your searches. Remember to include the "http://" before typing in the address of the page. Now you will see a detailed dialog window filled with reset options. All of those options are usually checked, but you can specify which of them you want to reset. 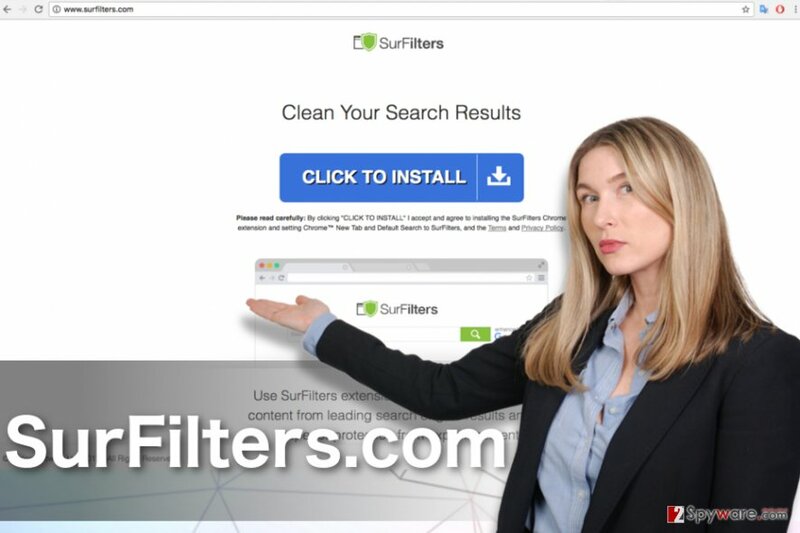 Click the Reset button to complete SurFilters.com removal process. ^ Chris Hoffman. Beginner geek: everything you need to know about browser extensions. How-to-geek. For geeks; by geeks..
^ Packaged software. ComputerHope. Free Computer Help and Information. ^ Definition of: page hijacking. PCmag. Technology Product Reviews, News, Prices & Downloads. ^ Different types of online advertising. FocusDesigner. Online Magazine for Web Designers. ^ Todd Steel. 4 trends driving software monetization. MachineDesign. Technology news. This entry was posted on 2017-04-21 at 02:17 and is filed under Stealing programs, Viruses. You can quickly scan the QR code with your mobile device and have SurFilters.com virus manual removal instructions right in your pocket. How did you remove SurFilters.com virus?